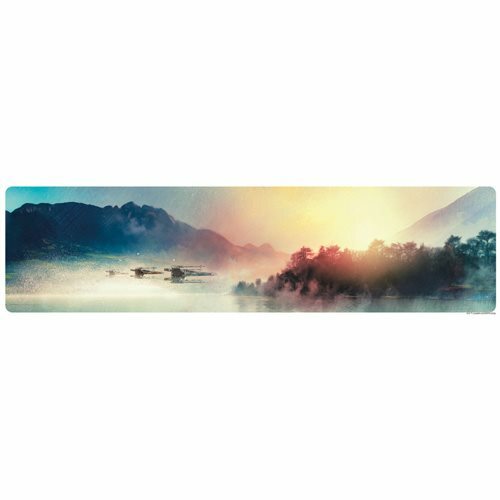 The waning light of day reveals three X-Wing fighters flying low above the surface of Tatooine in this stunning Star Wars X-Wings at Twilight by Rich Davies Lithograph Art Print. The unframed Star Wars artwork is ready to hang on your wall (or give as a gift). It's a hand-numbered limited edition of just 295 pieces that measures 27-inches wide x 7 2/5-inches tall and comes with a certificate of authenticity.